Negative sentiment directed at Sasol Khanyisa is due to a misunderstanding of the transaction, Sasol [JSE:SOL] has said, following fresh protest action from trade union Solidarity. Union members - of whom over 4 000 are linked to Sasol in Secunda - demonstrated at the plant on Thursday. Solidarity also sent a letter of complaint to the New York Stock Exchange (NYSE), in which they said the share ownership plan violated a section of the US Civil Rights Act. 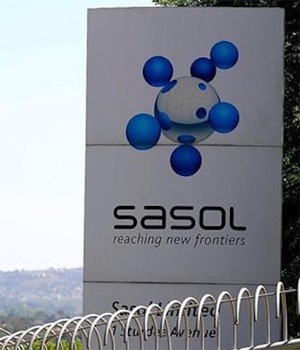 "We are aware of negative reports and sentiment expressed from various quarters of society against Sasol Khanyisa," Sasol's head of group media relations Alex Anderson said in an email to Fin24 on Thursday. "These reports are largely premised on a misunderstanding of elements of the transaction pertaining to employee participation." The letter to the NYSE, dated September 4, 2018, said Sasol's share scheme "regrettably" excluded white employees from its second phase. It was signed by CEO Dirk Hermann and issued by Solidarity's legal department. "It is estimated that [participating] 'black' employees will receive shares equal to an amount of approximately R500 000 [while] white employees, irrespective of their employment records and/or positions within Sasol, are barred from participation […] solely because of their skin color," the letter read. "All 'black' employees in Sasol's employ after May 2018 will be eligible to receive shares until Khanyisa’s 5th anniversary, whilst white employees who have been employed by Sasol for many years and even decades, who have impeccable employment records, are ineligible for participation right from the outset." The strategy is "clearly indicative of Sasol's move towards unequal working conditions, race-based thinking and race-based decision making," Solidarity said. While Sasol claims Khanyisa is in the interests of transformation, Solidarity said, "the very opposite is true". The letter further quoted excerpts from the South African Human Rights Commission Equality Report, the draft Mining Charter, Anthea Jeffery's book BEE: Helping or Hurting, a study by Hanna Ershammar, and the US Civil Rights Act of 1964. According to the letter, "the implementation of racially exclusive schemes such as Khanyisa could also lead to an emigration of white educated workers". BEE "does not require of employers to advance 'black' employees to the disadvantage of white employees to be BEE compliant," it said. "It is thus possible for Sasol to be fully BEE compliant without excluding its white employees from Khanyisa." However, speaking to Fin24, Anderson highlighted Phase 1 of the scheme. He told Fin24 that all employee participants in Khanyisa Phase 1 were permanent Sasol employees, regardless of race, tenure or seniority, and who were participants of Sasol Inzalo and still actively employed on June 1, 2018. They are eligible for R100 000 worth of Sasol ordinary shares, or Sasol BEE ordinary shares, which would vest in 2021, Anderson added. At the start of the transaction, there were 6 313 white employees and 11 962 black employees in this phase. "Phase 2 of Sasol Khanyisa is extended to our Black permanent employees (African, Indian, Coloured), as defined by the DTI (Department of Trade and Industry) Codes of Good Practice," he said. While a certificate of non-resolution had been issued in May 2018 to allow Solidarity to protest in a safe manner, Sasol was committed to engaging with unions and employees, Anderson said.